Larry Bevand is Executive Director of the Chess'n Math Association (CMA) which he helped found in 1985. He was the Chess columnist for the Montreal Gazette between 1978 and 2003. He was awarded the title of International Arbiter by FIDE, the World Chess Federation, in 1982. He was inducted into the Canadian Chess Hall of Fame in 2001. 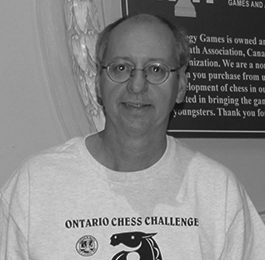 In 2012, Larry Bevand was awarded the "Queen Elizabeth II Diamond Jubilee Medal" in recognition of his contributions to chess in Canada. Virginie Roux is director of the scholastic program for our Montreal branch and has worked for the Association for the past 3 years. Virginie had worked as a project manager and director in the market research industry for many years before joining our team. Her team includes Anaïs Charmillot, administrative assistant and Ann Pinsonneault, office clerk. It’s a dynamic team ready to offer you a high quality of service. 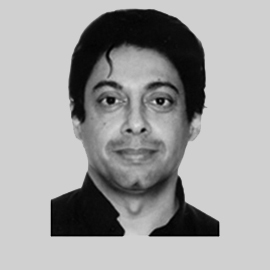 Francis Rodrigues, an attorney, is Regional Director of the New York (U.S.), and Toronto (Canada) Regions, since 2010. He was FIDE (World Chess Federation) Zone 4.2 President, and on the FIDE Executive Board, before moving to North America. A powerful chess player, memory expert and gifted administrator, he is also a FIDE International Organizer (2006), and International Arbiter (1999). Natasha McRae, an OCDSB Elementary School Teacher, and Autism Support Worker, is Regional Director of our Ottawa-Gatineau branch. 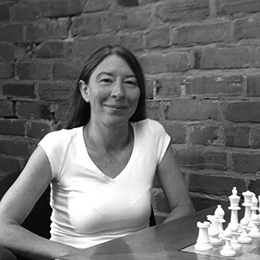 She has been affiliated with the Association for several years, teaching chess in our Ottawa schools, helping out at Summer chess camps, supporting at chess tournaments, and occasionally working at the Strategy Games store on Bank.